Verizon CEO Thinks 5G Will Give Your Phone Month-Long Battery Life. Verizon CEO Lowell McAdam, you are a wild man, sir. Speaking at IBM’s Think 2018 conference this week, McAdam spent some time on the subject of 5G and said one thing in particular that took us through an array of emotions within a 30 second span. It went something like this: 👀 😮 🤔 🍸. What did he say? Oh, only that with 5G, your phone will eventually have month-long battery life. During his chat with IBM CEO Ginni Rometty, McAdam was in full 5G hype mode, referring to it as being able to usher in the 4th industrial revolution. He then focused on throughput from 5G and this idea that they’ll have the ability to attach 1000x more devices to a cell site and hit at least 1Gbps speeds, but those could easily eclipse the multi-Gigabit speed mile marker on the regular. In fact, McAdam suggested that their test sites are already doing 25Gbps speeds. Is your jaw on the floor too, or just mine? OK, wait, is this really possible? Maybe? In theory, it makes a lot of sense. Less computing happening on your phone should mean less battery drain. Less constant, slow-moving connectivity to cell sites should certainly help improve battery life. But how long before that happens? Probably a while. 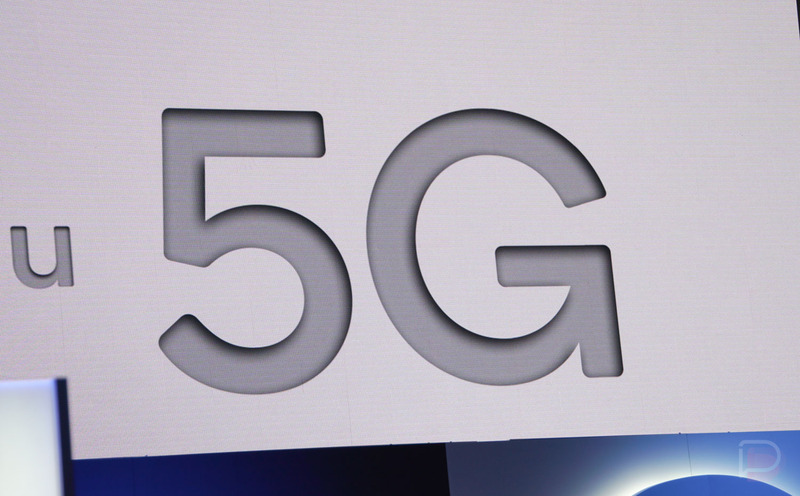 The beginning of 5G is still very much not happening until next year. While latency lowering and throughput increasing is awesome, most networks aren’t going to have the full 5G setup for years to come. Most will start with a single band and then work to migrate the rest to 5G to give you what Lowell is talking about. We’re also only getting the first 5G devices next year that probably won’t change much of the current battery situation. Still, the future could be as McAdam describes. If anything, it’s an idea that tech companies can focus on making a reality. To watch Verizon’s CEO talk about 5G, hit up the link below and fast forward to around the 30-minute mark.